www.guerandecosmetics.com is a Guérande Cosmetics site. The company is a simplified joint-stock company with €300,000 in capital whose headquarters is located at Pradel - 44350 Guérande, registered with the Niort Trade and Company Register under number 821 149 283 00011- Président: Olivier GUILBAUD. The www.guerandecosmetics.com website is devoted to online sales of cosmetic, hygiene, and accessories. • “You”, the “customer” or “buyer”: anyone who orders products from the www.guerandecosmetics.com site. These General Sales Conditions govern all product sales between You and Us via the www.guerandecosmetics.com website, and prevail, when appropriate, over any other contradictory version or document. These conditions apply to the exclusion of all other conditions, and especially those applicable to home-based sales or other distribution and sales channels. No product order will be accepted or fulfilled if you have not first ticked the box accepting the GSCs. By ticking this box, you accept these General Sales Conditions in their entirety without reservation. The GSCs are accessible at any time on the Site. We reserve the right to modify the GSCs at any time. However, these modifications cannot apply to previously-completed transactions. They will not be enforceable unless you have been notified, by all possible means at our convenience, and unless you have expressly accepted them. • Purchases made on the www.guerandecosmetics.com site haven’t geographical limitations. The Site is reserved for individual orders. However, small businesses (only continental France) may order from this site. If they do so, they will be charged public prices including taxes. We do offer a business price for companies located in continental France (commercial, artisanal, self-employed, etc.). This rate will apply to orders totalling at least €100 excluding tax. To learn more about this business rate, please contact us using the contact form on the Site. If you are interested in becoming an international distributor, please contact the export department using the contact form on the Site. To place on order on the Site, you must have reached the age of majority and be able to enter into a contract. By ordering from our site, you acknowledge and warrant that you have reached the age of majority and are able to enter into a contract. In general, you guarantee the accuracy of information that you provide when placing an order and more generally for the needs of completing and fulfilling orders. Order methods are detailed on the Site. After submitting an order, you will receive an email from us that confirms your order. For cost and feasibility reasons, we provide shipping for orders up to 15 kg maximum. Product offers are based on available stock. Product availability information is provided when you place an order. Orders paid by credit card or PayPal have priority access to available stock. Orders paid by cheque or wire transfer are only prepared after payment has been received. Therefore, it’s possible that in the interval, one or more products may go out of stock. In this case, a credit note will be given for the amount of missing products. When a product is temporarily out of stock, Guérande Cosmetics reserves an additional three weeks to process the order. In this case, the Customer will be informed by email or telephone of items that are no longer available. The Customer can cancel or exchange their order by contacting customer service and providing the order number, order date, and customer number. If the Customer does not respond within 8 days after they are contacted by Guérande Cosmetics customer service, the order will be sent with the available items. The Customer will only be charged for these items. Once validated, the order cannot be modified (no items can be removed). They must also provide their order number, order date, and customer number. If and only if this order has not yet been processed, it will be cancelled and a credit note will be issued. The Customer can then create a new order with the products they want. This new order will be subject to new shipping times; the Seller is not subject to cancelled order shipping times. Discount Codes can only be used on regularly-priced items that are not on sale. Any abuse by the Customer will result in suspension of the offer. Discount Codes cannot be used for transactions of any kind (exchange, cancellation, etc.) for monetary value outside the Site. If you attempt to cheat by acquiring loyalty points in a roundabout way or creating multiple accounts under names with different spellings, a complaint will be lodged against you with the Public Prosecutor and you will be charged a €150 litigation file creation fee. Any purchase made with fraudulently-acquired points will be charged the full price in effect at the time of order and your purchase will not be eligible for any discounts. Products are provided at the prices listed on the Site at the time when the order is placed. Prices are listed in Euros and all taxes included according to French taxation rates. Guérande Cosmetics reserves the right to modify prices at any time but products will be charged on the basis of prices in effect at the time order is made. They do not include shipping, handling, transportation, and delivery charges, which will be charged separately. Amounts including taxes for these charges will be provided to Customer at the time of order. Furthermore, prices do not include costs of connecting to the Site which may be incurred by the Buyer from providers; these costs are Buyer’s responsibility. If you order from anywhere outside continental France, you are the importer of the products. For all products shipped outside the European Union and French overseas departments, prices will automatically be calculated before taxes on the invoice. Customs duties, local taxes, import duties or state taxes may be required. These duties and sums will not be paid by Guérande Cosmetics. They will be charged to you and are entirely your responsibility both in terms of declarations and payment to relevant authorities and organisations in your country. We suggest you contact your local authorities for more information. Credit card payments made on the Site are secured using the Paybox e-transaction system. This means the Buyer’s bank information (card number, expiration date, etc.) is encrypted by the SSL system and then processed by our financial partner CIC Deux-Sèvres bank. Credit card payments are processed at the time when your order is validated. If payment conditions are not followed, we reserve the right to suspend or cancel shipment of orders made by the Buyer without incurring any damages or interest. Remember that orders paid by wire transfer or cheque are not processed until payment is received. Unless otherwise indicated, order is shipped to the address indicated when you place your order. When your order is recorded, you will be given a shipping time. For shipments outside continental France, shipping schedules vary based on the destination country. These schedules are based on working days, excepting routing problems and any force majeure. We commit to doing our best to ship products ordered within the timeframes detailed above. However, shipping delays not attributable to unforeseen circumstances can only lead to order termination by the Buyer under the conditions of Article L138-2 paragraphs 1 and 2 of the Consumer Code. - Order shipment via So Colissimo mon commerçant. In cases of specific Buyer requests for packaging or transportation conditions for product order, duly accepted in writing by the Seller, any related costs will be invoiced separately, by quote accepted in writing in advance by Buyer. Customer is responsible for verifying shipments upon arrival or to pick up their package from the relay point within the deadlines (according to the shipping option selected) and to make any reserves or claims that appear justified. If the products delivered do not match the type or quality specifications indicated in the shipping slip, the Customer must, under penalty of forfeiture, make any claims within 3 working days of shipment. However, it is understood that the preceding stipulations do not preclude the Buyer’s right to retract, as provided by Article 9 below, nor to the Buyer’s right to engage the Seller’s guarantee in relation to hidden defects or non-conformity of products; in accordance with the provisions of Articles 1641 and following of the Civil Code and L.211-4 and following of the Consumer Code. Based on availability, we will replace as soon as possible and at the Seller's expense, products delivered that have duly proven visible defects or non-conformances. The Customer has 30 days from the date of order shipment to alert us if they do not receive their package. After this deadline, no claim will be accepted. If the package is received damaged, the Customer must not open it and should refuse the package by returning it to the post office the working day following its delivery. If this isn’t completed, our services cannot grant any compensation request. When a package is returned with NFTA notice, after receipt and acceptance of the package by our services, a credit note (order total, shipping fees deducted) will be granted within 48 hours after the package is received by Guérande Cosmetics. The Customer can then resubmit their order. These are packages that are not claimed by the Customer from the Post Office or the package relay within the given deadlines. After receipt and acceptance of the package by our services, a credit (order total, shipping fees deducted) will be granted within 48 hours after the package is received. The Customer can then resubmit their order. The transfer of product ownership from the Seller to the Buyer will not be completed until the latter provides complete payment of the price, regardless of the shipment date of said products. The product loss and damage risk transfer will take place beginning on the day the Buyer takes physical possession of the products or the date when the products are delivered to the carrier charged with transportation by Buyer and when the choice would not have been suggested by Us. In conformance with provisions of Article L 121-21 of the Consumer Code, you have a withdrawal deadline of 14 working days starting from product shipment. However, this withdrawal option may exceptionally be excluded in cases and conditions provided for by Article L 121-21-8 of the Consumer Code (From the 17 March 2014 law no. 2014-344 related to consumption). You must inform us of your decision to exercise your withdrawal right by sending us the completed withdrawal form attached to your order confirmation. You have 14 days from the notification of our decision to exercise your withdrawal right and return the products to us. Products must be returned to us in perfect condition in their original packaging, including the invoice. Damaged, dirty or incomplete items will not be accepted. Return shipping fees are the Buyer’s responsibility. Reimbursement of the Buyer’s order payment will occur in the days following receipt of products in perfect condition. - legal guarantee against hidden defects caused by material, design, or manufacturing defect affecting products delivered and making them unfit for use (Articles 1641 and following of the Civil Code). Our products confirm with regulations in effect in France. We are not liable for any non-conformance with legislation in countries other than France. Photographs, images, and descriptions on this Site are as accurate as possible. However, they are for information only and are non-contractual. We cannot be held liable for any potential differences or changes between the product visual on the site and the delivered product. Buyer is solely responsible for product selection, storage, and use. We remind you that, before making any purchases, Buyer is responsible for gathering product composition information and instructions for use. This information is accessible on the Site. We cannot be held liable in case of poor product selection or use. Furthermore, in cases where our contractual liability is implemented, our indemnity obligation will be, in any event, capped at the price including tax of the order paid by the Client for any product in dispute. In addition, we cannot be held liable or in default for any delay or failure resulting from a force majeure occurrence. For the purposes of this contract, force majeure includes, in addition to those recognised by French Supreme Court case law, all natural disasters, acts of war, breaches of public order, epidemics, fires, floods and other disasters, all governmental acts, all strikes, lockouts, including that of our staff or our usual carriers, any supply disruption of our own suppliers, as well as all electrical and technical problems external to the parties preventing communication. Furthermore, during the online sales process, we cannot be held liable for any damages resulting from Internet usage, such as data loss, intrusion, viruses, loss of service or unsolicited messages from third parties. In application of the 06 January 1978 law 78-17, we remind you that identifying data requested from the Buyer are necessary to process your order, deliver products ordered, and create invoices. The use of information transmitted through the Site was declared to CNIL. In accordance with national and European regulations in effect, the Buyer has the right to permanently access, modify, correct or oppose information about them. To do so, they simply need to make a request by mail and include their email, given name, first name, and address. Send the request to Guérande Cosmetics - Pradel - 44350 Guérande - France. This Site’s content belongs to Guérande Cosmetics and its partners. It is protected by French and international laws related to intellectual property. Any complete or partial reproduction of this content is strictly prohibited and may constitute a copyright infringement. Our products are only intended for sale within our distribution network. As a result, purchasing or regifting our products with the intention to resell them, notably on Internet sites, is prohibited. 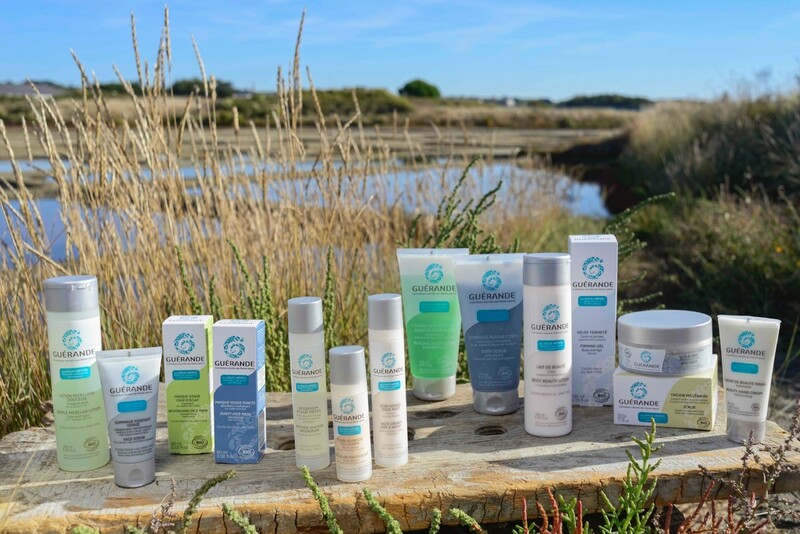 Refurbishing Guérande cosmetics’ products for resale under a different brand is not authorised except with Guérande cosmetics’ written permission. As a rule, any notification intended for you will be sent to the email address you gave us when placing your order. Notifications are deemed to have reached you 24 hours after email is sent, unless the sender receives notice that email address is invalid. Operations completed through the www.guerandecosmetics.com website are subject to French law. Disputes stemming from the creation, execution or resolution of contracts completed through the Site are under the jurisdiction of appropriate courts in common law conditions. Nevertheless, upon the customer’s request or proposal on our part, disputes can also be resolved through conventional mediation or any other alternative method of resolving differences. If these General Sales Conditions are translated into one or several languages other than French, only the French version shall prevail in case of dispute.